Brinkley-Propeller has taken action to ensure the continuity of our EASA Part-145 approvals in the event of a No-Deal Brexit. As one of Europe’s leading Propeller Repair and Overhaul facilities we pride ourselves on offering exceptional levels of customer service. Based in Biggleswade, Bedfordshire, our recently built, modern 14,250 sq foot facility has been purposely designed to enable us to work efficiently and deliver turnaround schedules that are consistently on-time and in-budget. Choosing Brinkley Propeller Services for your propeller overhaul will ensure that you get the highest quality workmanship for the best price whilst never compromising on safety and quality. 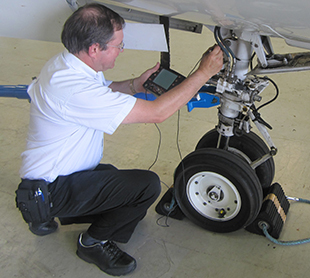 Over the last 10 years we have expanded both our premises and our capabilities and now offer, in addition to our propeller services, an approved Non-Destructive Testing division that supports Aviation, Motorsport, Marine and Space and Satellite companies. We understand that cost and downtimes are key issues for our customers, whether they are King Air operators minimising revenue loss, Aerobatic teams needing quick turnarounds or Cessna 172 pilots trying to make the most of the British summer we work to ensure that requirements are met and hopefully exceeded. We are always happy to provide quotes for overhaul by email or telephone. When a propeller arrives at our facility it is inspected by one of our qualified engineers. If, at that stage, any further work is identified as being necessary we contact the customer to discuss ensuring that they are kept informed throughout the process. 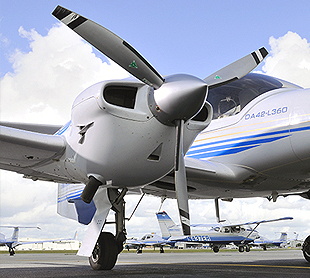 Brinkley Propeller Services Ltd was born out of a demerger of Brinkley Aircraft Services which previously encompassed aircraft maintenance and propeller repair and overhauls. The incorporation of Brinkley Propeller as a separate entity in 2007 signalled the start of a new era and period of rapid growth for both our component and NDT services. Since then we have moved location twice and currently operate within a 14,250 sq foot state-of-the-art facility and employ 24 dedicated staff. We pride ourselves on high quality work with fast turnaround times at competitive prices. 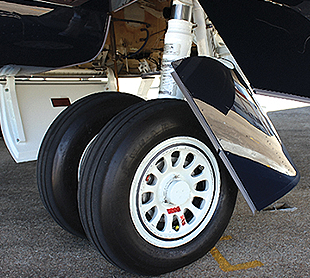 Following customer requests, we enhanced our capability to include wheel and brake overhaul. Our customers were looking for a fast efficient and cost-effective solution to their requirements, something they have become reliant on with their propeller overhauls.